Cremation continues to grow in popularity. Instead of being buried in the ground, cremation reduces a person to ash after death. Your loved one can then dispose of the ashes as they see fit, either by burying them in a traditional cemetery plot or scattering the ashes in the ocean. Florida has several laws related to cremation. However, cremation is largely unsupervised in the state, and family members can do almost anything they want with the remains. Below, we summarize some of the laws you should be aware of. Under Florida statute § 497.607, a cremation cannot take place until a person with legal authority gives written authorization. Under the law, verbal authorization is inadequate. Several people might qualify as having legal authority. For example, if you are arranging cremation services for yourself before death, you can provide the written authorization at that time. This authorization will remain effective even after death. However, if you are trying to arrange cremation for a loved one who died, then you must have legal authority to request cremation. Under the statute, a surviving spouse, child, parent, or sibling could have authority. If no family member survives, then the personal representative for the deceased has the authority to request cremation. Actually, 120 days should be sufficient to pick up ashes. If you need more time, you should definitely contact the crematorium and make arrangements so that they do not dispose of your loved one’s remains. Under Florida law, the medical examiner must give permission or deny permission to dispose of the body by cremation. This requirement is understandable. If there was foul play suspected, then a body can be exhumed, but all evidence will be lost once a body is cremated. The law requires the medical examiner to perform an autopsy to find the cause of death. However, the law also allows the examiner to rely on the information contained in the signed death certificate. Florida statute § 872.03 also requires that at least 48 hours pass from the moment of death before cremation can begin. This law allows the authorized person to change their mind, if they want. At Millhorn Elder Law Planning Group, we provide legal services to the entire community at The Villages. If you have a legal question, we have answers. 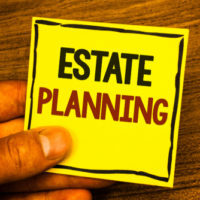 We have helped many people draft estate plans, administer estates and trusts, or engage in Medicaid planning. We contact us today. We offer a free initial consultation to members of the public, which you can schedule by sending an online message or calling 800-743-9732.